Visitors to this year's Propak Africa can enjoy an 'every day a themed day' experience, where each of the four days of the show will focus on a different theme. 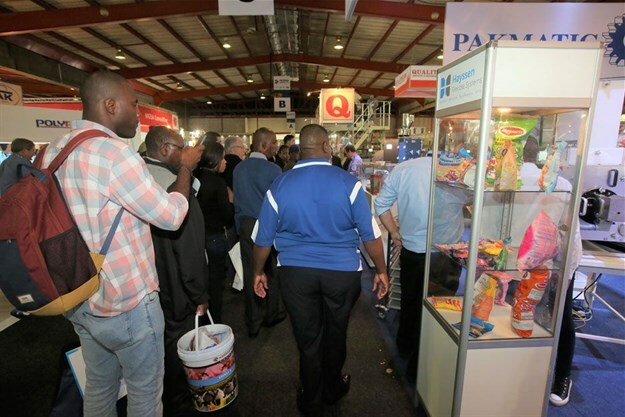 Recognised as Africa's ultimate packaging, food processing, plastics, printing and labelling trade exhibition, the show will be taking place from 12-15 March at the Expo Centre in Nasrec, Johannesburg. Over 600 exhibitors will be showcasing their latest technologies, state-of-the-art equipment and machinery, products and services. Speaking about the ‘four days, four themes’, event director Sven Smit explains that day one will focus on the new products that will be on view at Propak Africa, some of which will be launched at the show. Smit says that “we want to celebrate these and will be highlighting a few of the top ones.” There will be new product display units in the visitor registration area and the visitor show programme will highlight the exhibitors who will have new products on their stands. Smit says that day two will embrace sustainability. Visitors are invited to be a part of promoting good environmental practices through packaging and they can find out how at the SA Sustainability Pavilion in Hall 5 where Producer Responsibility Organisations are exhibiting alongside Packaging SA. Visitors will also be able to engage with exhibitors and learn about their sustainability initiatives. Propak Africa, together with co-located events The GAPP Print Expo, Pro-Plas Expo, FoodPro and Pro-Label Africa, is an all-encompassing event and a forum for trading, networking, learning and product sourcing. Visitors to the show can expect to see many leading South African companies across Halls 5, 6 and 7 and outside exhibits, as well as prominent international exhibitors. In addition, there are several industry conferences and free-to-attend seminars taking place alongside the show. The show is ideally positioned for visitors to learn about latest industry trends, speak to technical experts, find solutions to their business needs, see machinery and products in action at the live demonstrations, and benefit from attending the seminars. Four conferences will be taking place alongside Propak Africa, providing additional learning opportunities for visitors. The IPSA Think Tank will run four important workshops on 12 and 13 March, focusing on pertinent topics facing the packaging industry at present. Topics include: government legislation affecting the packaging environment; different types of plastics for rigid and flexible packaging and the Lean Six Sigma approach to quality management. A half-day Printing SA and South African Institute of Printing (SAIP) Conference will take place on 13 March. Talking about the vision and latest developments of Printing SA will be CEO Steve Thebelo; results of an Industry Growth Strategy Research Project will be presented by BMi; and Keith Solomon of SAIP will be asking the question: "Are you an Amateur or Professional?" The South African Design for Recycling Indaba will also take place on 13 March and is being spearheaded by the South African Plastics Recycling Organisation (SAPRO) and the World-Wide Fund for Nature (WWF-SA), with support from the Ellen MacArthur Foundation (EMF) and the Waste and Resources Action Programme (WRAP). It is aimed at fostering commitment by industry partners to develop a local Plastics Pact in South Africa. VDS Media’s Propak Africa Packaging Innovation and Sustainability Conference will take place on 14 March. Sustainability concerns and developments surrounding substrates and raw materials will be debated as well as how South Africa’s top retailers and brand owners are incorporating sustainable packaging formats into their packaging value chains. For further information and online visitor registration, visit www.propakafrica.co.za.